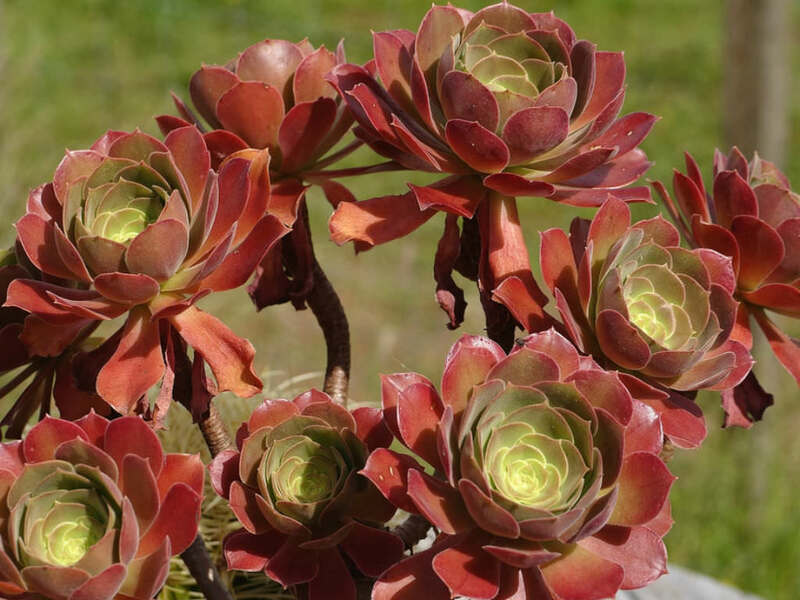 Aeonium ‘Blushing Beauty’ is a hybrid, made from a cross of Aeonium canariense with Aeonium arboreum ‘Zwartkopf’. 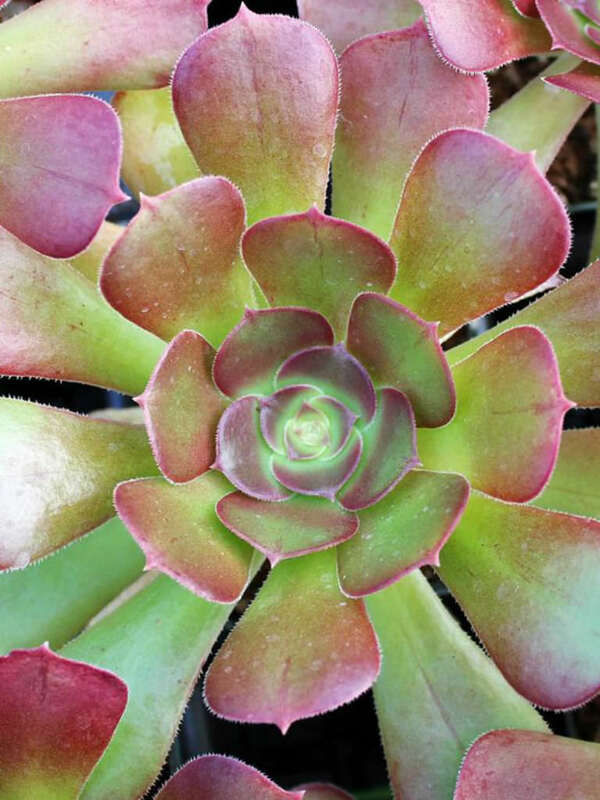 This beautiful succulent has rosettes of green leaves tinged with red on top of short thick stems up to 3 feet (1.2 m) tall. 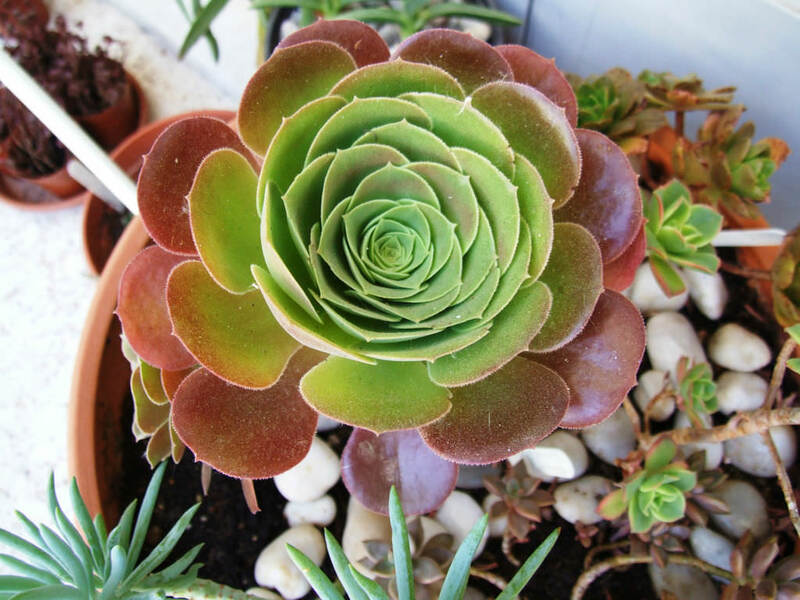 A sandy loam or regular potting mix is better than a mix specifically for cacti and succulents, since Aeonium need some moisture. 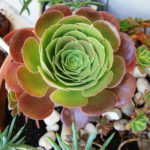 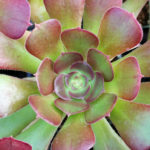 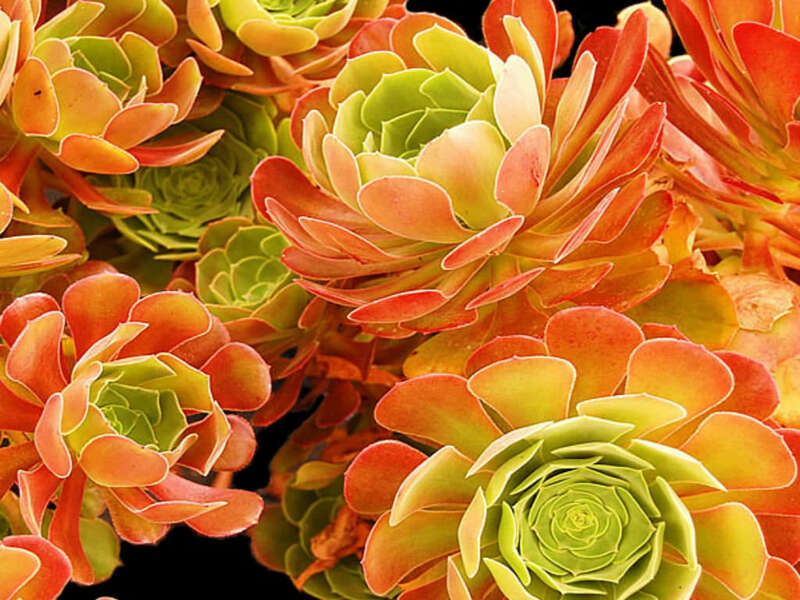 If you are growing them in containers, repot every 2 –3 years with fresh potting soil… – See more at: How to Grow and Care for Aeonium. 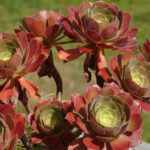 Hybrid of Aeonium canariense and Aeonium arboreum ‘Zwartkopf’.